Advance sheets of the opinions from the Montana Supreme Court published no less than once every three weeks. Full text opinions of the Court published shortly after their issuance. Each case includes Montana reports cite and the public domain cite. 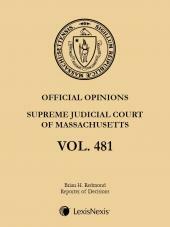 This publication includes headnotes for each opinion and is fully indexed quarterly. Each page is 3-hole punched for storage in a 3-ring binder.